Saw this idea a little while ago on a post by goop for Carrot Cake Shake. I’ve been a fan of goop (Gwyneth Paltrow’s website) from the beginning and it’s been fun to watch it expand and grow. The posts are a smartly curated blend of healthy living, fashion and travel. The goop recipe recommends blending carrots and then straining the pulp to make the juice. I just used my juicer, but I think a good cold pressed store bought version would be fine too. Goodbye winter, hello spring! 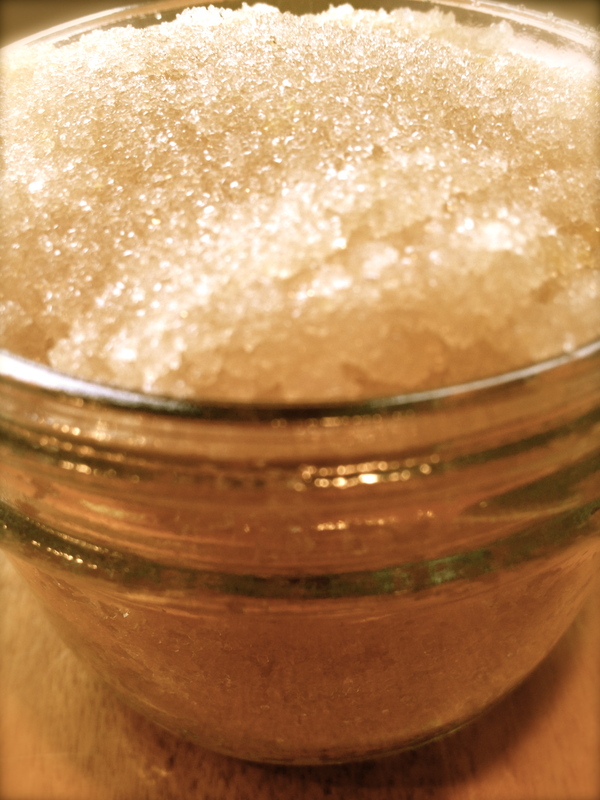 To celebrate this amazing time of renewal and rejuvenation, I made a homemade sugar scrub to slough off that dry winter skin. This is super easy to throw together and makes a great gift for your friends, too. 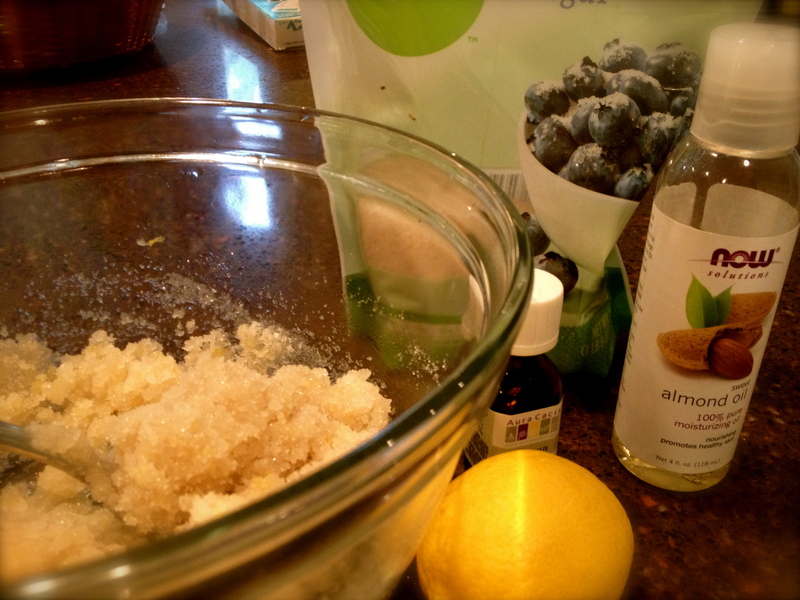 All you do is mix together sugar, oil, lemon zest and lemon essential oil. There are tons of variations you could do with this: lavender, sandalwood, orange, lime, rose, etc. I used organic sugar because that is what I had. This could be a great opportunity to get rid of that white sugar that you don’t want to use any more. For the oil, I used almond, but grapeseed, olive or even sesame would work too. When this is all mixed together, it kind of smells like Lemon Meringue Pie, which I think is pretty darn blissful. Mix all ingredients in a medium bowl. Transfer mixture to a small container that you can keep in your shower or tub area.